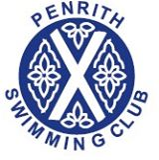 PENRITH Swimming Club stalwart Roland Kirkbride has stood down from the post of club president in order to “let somebody younger have a go”. Mr. Kirkbride, aged 80, of Askham Crescent, Penrith, has also resigned from the club’s committee, on which he had served almost continuously since 1936. He has also at various times been club chairman, vice-president and secretary and was made an honorary life vice-president several years ago. He first joined the club in the early 1930s and recalls that, in those days long before the building of Penrith’s heated pool, he would often go down to the club’s building at Frenchfield on winter Sundays for a dip sometimes breaking the ice on the River Eamont in order to do so. He always retained a fondness for outdoor swimming and remembers with regret when, a few years after the opening of Penrith’s indoor pool, the Frenchfield premises had to be sold after a weir on the river broke during a storm. Although never a champion swimmer himself, he rubbed shoulders with those who were, including Herbert Chapelhow, who was known as “Gala” because of the expertise with which he organised club events. Mr. Chapelhow won the club championship 11 times and served as either captain, chairman or president for some 55 years until he bowed out in 1979. Another former club champion Mr. Kirkbride recalls meeting was Tom “Carthorse” Wilson, who was known for his “double overarm” style of swimming. It was while he was in Canada during the Second World War that Mr. Kirkbride met this former champion, who had emigrated from Cumbria and was living near Chicago. Mr. Kirkbride’s enthusiasm for swimming was transmitted to other members of the family, with his son Brian serving on the club committee for about 20 years. Brian’s two sons, Jason and Daniel, are also keen swimmers. The new president is Mrs. Jenny Birtle, of Penrith the daughter of Herbert Chapelhow who has been involved with the club for more than 50 years and has trained hundreds of youngsters to swim during that time.